Protect your safety and your livelihood with our full-fledged security suite. At Smart IP Solutions, our goal is to deliver technology solutions that improve our customer’s safety and overall security. 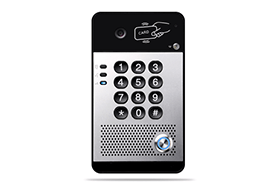 The integration of door access and intercom systems, camera systems, and the IP phone system technologies provide a complete picture with a superior level of control. Contact us to schedule a site survey and needs assessment. Take the next step toward the peace of mind you need to run your business securely and successfully. 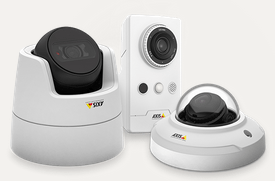 Smart IP Solutions designs and installs professional video surveillance solutions that fit your company’s security needs and budget. Access Control systems are highly customizable, allowing you to ensure your company’s security from the front door to internal parts of the building.